OLD PARKED CARS. 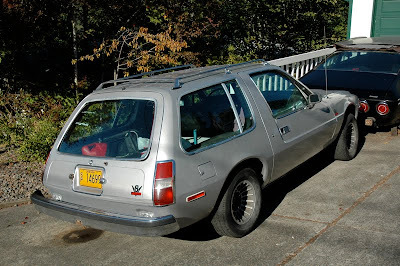 : 1978 AMC Pacer Station Wagon. 1978 AMC Pacer Station Wagon. these rims are so frickin tough. 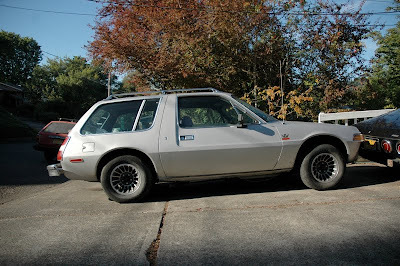 i never appreciated that right-angle line going down the b pillar and across the side door. this really belongs on the moon. Those are Turbocast IIs. My 2nd fav. rim, 1st being the Wolfrace Slot Mag. I love Pacers, and Pacer Wagons. But I was never a huge fan of the '78 and up V8 hood buldge...it was there for the V8, but it was also on the six cylender models. 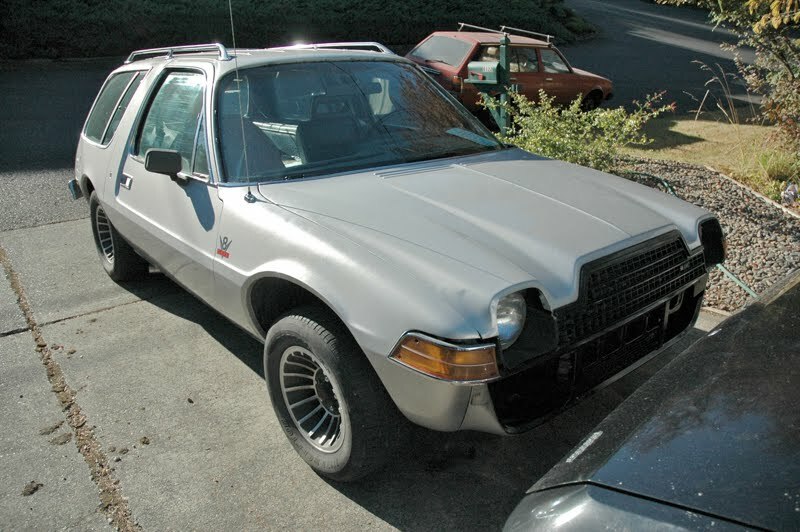 Some cars look tough without a front bumper. This one looks like it had mouth cancer. Rims are the bees' knees, though.